WILLEMSTAD - The naval vessel Zr. 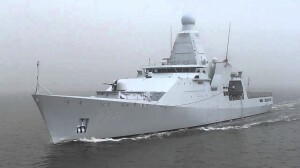 Ms. Groningen departs on Monday towards the Caribbean to support the Coast Guard in the drug operations. This was announced by the Department of Defense of the Netherlands today. The Groningen will arrive in Curacao on May 19. The ship will sail on the way first along Lisbon and Cape Verde. There, they will practice the boarding of suspicious vessels. Cape Verde, which lies off the coast of Senegal, is located in a strategic position because it is the shortest crossing point from Africa to South America. It is also a major drug smuggling route.